Family-owned Dunlap Construction LLC is one of Vero Beach, Florida’s top design build custom home builders and high-end remodeling contractors. Dunlap also has an in-house custom cabinetry shop providing custom-designed quality cabinetry. We offer you a high quality, convenient, turnkey, no-compromise design build solution that gives you more control over your custom home or home remodeling budget. Plus, our approach delivers greater value and often results in shorter start-to-finish schedules for virtually any type of custom home, home remodeling, or custom cabinetry project. And Dunlap Construction is highly flexible. While we offer exceptional design build solutions, we will also happily work with the architect of your choice. Under the direction of Drew Dunlap and his over two decades of home design and construction expertise, Dunlap Construction designs and builds extraordinary custom homes. These homes are not only beautiful, but solidly built with skilled craftsmanship and quality materials. We choose materials not only for their look and quality, but also for their ability to withstand the sand, sun, salt, and spray of our area. Our home-building processes and project management help assure your project will run smoothly. Dunlap Construction knows that luxury home remodeling, including kitchen remodeling and bathroom remodeling requires more than excellent design, fine craftsmanship, quality materials, and professional project management. It requires our field teams to have the skills and experience to work in existing homes that must be kept clean and safe throughout the remodeling process. Our teams use the industry’s best practice methods of keeping construction dust and dirt out of the rest of the home. With a fine custom cabinetry shop in-house, Dunlap Construction can assure you the highest quality of design, materials, and craftsmanship. We also have more control over schedules. 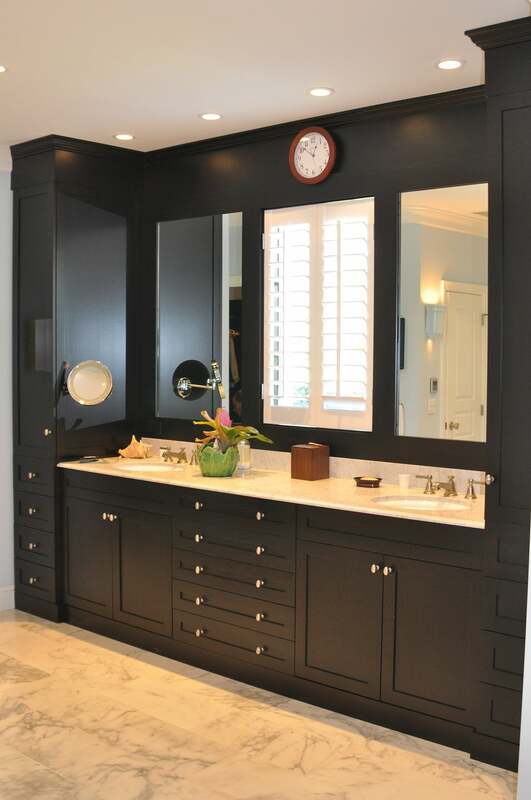 We can provide you a convenient, smooth process from design through installation for custom cabinetry, home remodeling, and custom home projects that require custom cabinetry and built-ins. Our in-house custom cabinetry shop also allows us to deliver to you greater value, as there is no middleman markup. From custom homes to home remodels to complex custom cabinetry solutions, Dunlap Construction offers you our special “Client-Centric” Dunlap Design Build process. Our custom process is centered around your needs, desires, tastes, and budget. We know how to listen. We know the right questions to ask. We know how to deliver what you want and need creatively, functionally, and often at a great time and cost savings over the traditional design-then-bid approach. Dunlap Construction has built our reputation based on delivering what we promise and standing behind our work. We are one of the highest quality custom home builders, remodeling contractors, and custom cabinetry shops serving Vero Beach, Florida. We excel at bringing in projects on time and on budget.